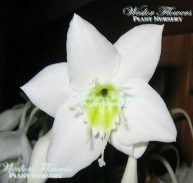 Eucharis grandiflora is a shade loving plant from South America. 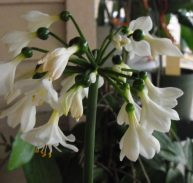 The Amazon lily has a vivid white daffodil like flower with a green centre with a delightful fragrance. The leaves are large, glossy and evergreen. 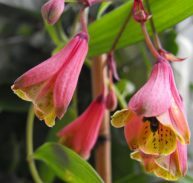 It is a great plant for pot culture on a semi-shaded verandah or in the shade in the ground. SOILS:The plant will enjoy most soil types but prefers well drained moisture retentive soil. THIS BULB IS SENT BARE ROOTED AND PACKED WITH MOIST MATERIAL.